How Long Do Dry Fruits Last? Proper nutrition is always important, and doubly so when you are pregnant! Your diet is a vital determinant of the health of your baby, once she is born. But have you wondered whether dry fruits can be consciously included in your pregnancy diet? In this article, we put your worries to rest – dry fruits are considered as a helpful dietary commodity that you require all through your pregnancy and beyond. Let’s know more about the various benefits of dry fruits during pregnancy. A nutritiously-balanced diet is essential to help your little one grow well in your tummy. Eating healthy in the first trimester of your pregnancy is especially important, as this is when your baby is first formed and thus, needs the most nutrients from you. The first trimester is the phase when you need to stimulate growth and development of the baby. Some milestones that your baby attains in the first trimester are brain and lung development, along with overall growth. Making sure you have a balanced diet, once you start trying for a baby, will help your baby attain these milestones easily. You would certainly want to give a healthy start to your baby. This will reduce chances of birth defects and also further complications in the future. One of the most important nutrients that you need at this stage is the dietary fiber. Dry fruits are rich in fiber. Hormonal changes result in constipation, which gets further aggravated by intake of iron supplements. A high-fiber diet can solve this problem of constipation. Apricot of 1/4 cup contains 1.63 gm of fiber. Prunes of 1/4 cup contain 2 gm of fiber and 1/4 cup of dried apples contains 1.3 gm of fiber that can meet a major part of your daily fiber requirement. You can add 25 gm to 30 gm of fiber, for instance, in the form of dry fruits, in your pregnancy diet suggests American Pregnancy Association. During pregnancy you need around 27 mg of iron every day to ensure proper blood development of your baby. Iron supplements also help reducing risks of preterm birth. Dry fruits rich in iron help you attain most of your body’s iron requirement.1/4 cup of apricot contains 0.6 gm iron that completes 2% of your daily iron need. Raisins of same amount contain 0.78 mg of iron. Prunes and apples are also good sources of iron. Dried figs and dates can be taken every day to meet some of your daily iron requirements. Apart from being a rich source of iron and dietary fiber, dry fruits in pregnancy also offer all essential minerals and vitamins. Dry fruits such as dates are rich in magnesium that helps in development of nerves, bones and aids normal functioning of your baby’s body. Dry fruits are rich in potassium that ensures muscle control. Potassium helps in reducing risks of high pressure that is highly detrimental in pregnancy. 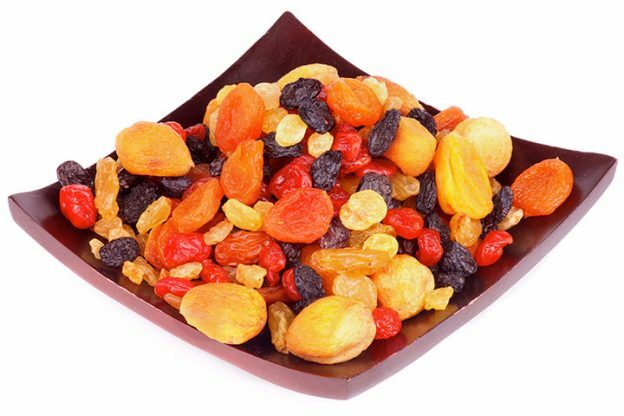 Dry fruits contain vitamin C that acts as antioxidants and prevents damage of tissues. It helps developing a healthy immune system and helps you absorb iron well. Dried apricots are rich in vitamin A and aids proper development of teeth and bones of your baby. The high percentage of natural sugar in dry fruits makes them easy to digest. The sugars get easily absorbed in your body and acts as a major source of energy that is used by the muscles of your body. Prunes and dates strengthen the muscles of the uterus and makes the delivery process easier. These dry fruits reduce chances of bleeding that might occur after delivery. Study conducted by the Thorax Journal in 2007 found benefits of dry fruits beyond the womb. The study suggested those who took dry fruits regularly transferred health benefits to their babies. The risks of wheezing and asthma were reduced among babies, whose mothers regularly took dry fruits. You need to remember that dried fruits contain more calories than fresh fruits. Thus, make sure to eat them in moderation, so that you do not put on unnecessary weight. Apricot 1/4 cup contains 53 calories. Prunes of the same amount contain 63 calories. Raisins of 1/4 cup contain 124 calories. It is important that you limit your sugar consumption in pregnancy, as it adds unnecessary calorie to your diet. Dry fruits are good source of all nutrients you need. However, you need to put in a little bit of effort while buying them. Select a good seller, probably one that sells them organic and preservative-free! It is better not to buy from the very first vendor you spot. Check with few of them before buying. Ask if you can try a piece before buying. Make sure there are no blemishes. Avoid the ones with molds. Inspect for bugs and dirt carefully. Fruits are often dried in the open, so you must be careful. Avoid buying if you find bugs in them, as they tend to spread very fast. Make sure you are not buying more than what you can consume in a month. Following proper hygienic practices during your pregnancy is supremely important, to keep at bay food borne diseases. You don’t want to catch a disease at this time! See if there is a rotten smell in the dry fruits. Rely on your senses that tell you what is good and what is not. Discolored dried fruits and those which are extremely hard or have lost their flavor are ones that are not fresh. Discard the fruits if you find even the slightest growth of molds. Spoiled dry fruits pose health risks and so remember to follow the healthy eating rules while taking them. If you want to extend the expiry of raisins, you need to follow the proper storage guidelines. These simple tips will ensure you enjoy them whenever you feel like munching on something healthy. Keeping dry fruits in the refrigerator increases self life. Some dry fruits like prunes stay better in the moisture in the refrigerator. Make sure the dry fruits are stored in a clean and dry place. Any contact with moisture or other contaminants reduce their shelf life. You can also keep dry fruits in an air tight container in the pantry. If you are storing the dry fruits for long, you can place them in a freezer. However, make sure the dry fruits do not develop freezer burn when stored for too long. Generally, dry fruits last longer when mixed with dishes. The following tips shall help retain all essential nutrients in them and you too can enjoy the fresh taste. You can enjoy dry fruits in salads, sandwiches, desserts, ice creams, puddings, custard and almost anywhere you want them to be. Dry fruits can be a healthy snack option that you can try to curb your cravings in pregnancy. 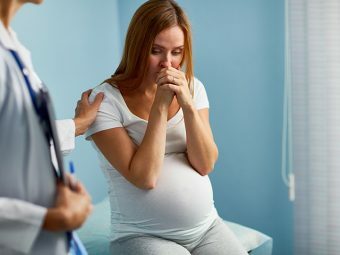 Morning sickness is a major concern for most pregnant women. Try a healthy blend of dry fruits with yoghurt, to cure your bouts of vomiting and nausea Do make sure to take dry fruits in moderation, so that you do not consume too much of sugar. You must also consult your doctor about your daily recommended allowance of dry fruits. In case you experience discomfort or bloating after eating dry fruits in pregnancy, stop consuming them. Inform your physician in case you have troubles like bloated feeling or indigestion and seek proper advice. 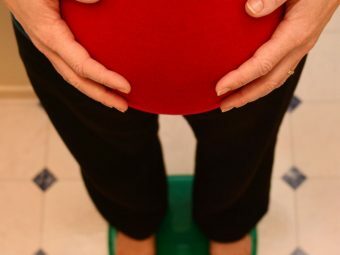 Pregnancy is one of the most wonderful phases in life. There is no need to feel overwhelmed by the eating guidelines you get from your family and well wishers. Discussion with your healthcare provider shall put your mind to rest of all confusions and doubts. Remember – what you eat is more important than how much you eat. Incorporate all essential nutrients for a healthy all-round development of the little life developing inside you. Moms, do tell us how you enjoyed dry fruits during pregnancy, in the comment section below. 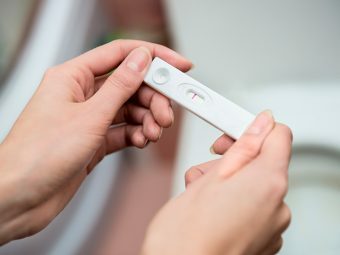 Dollar Store Pregnancy Test - Do They Really Work?